There is not a sugar maker alive who wouldn’t pause to marvel at the amount of steam that can be generated by these trains. And that awe-inspiring heat/steam generates enough energy to power the 200+ ton train up to 126 miles per hour. Unbelievable. 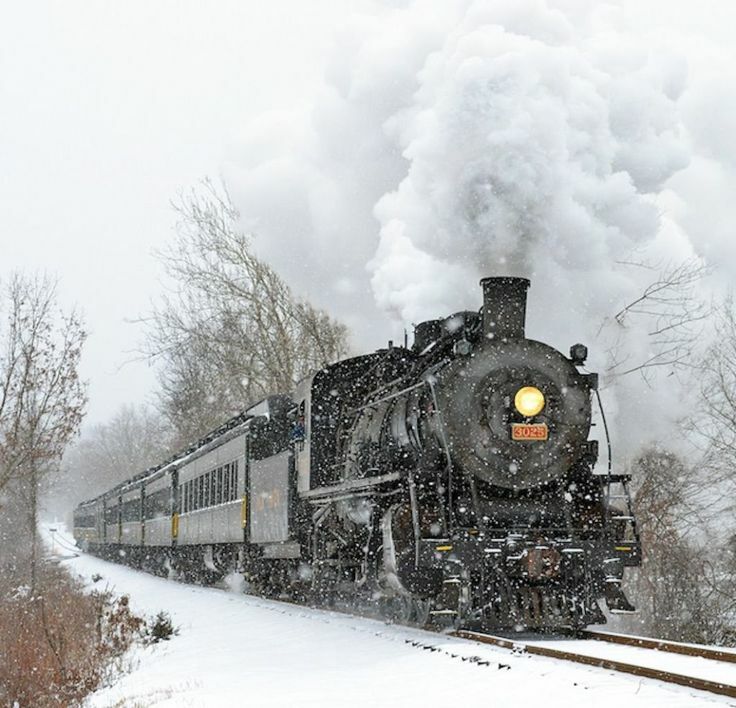 Similar to a steam train, your evaporator’s firebox generates a great deal of power as well! In this article, we’ll discuss four ways you can harness the firebox’s heat to increase efficiency and maximize resources. 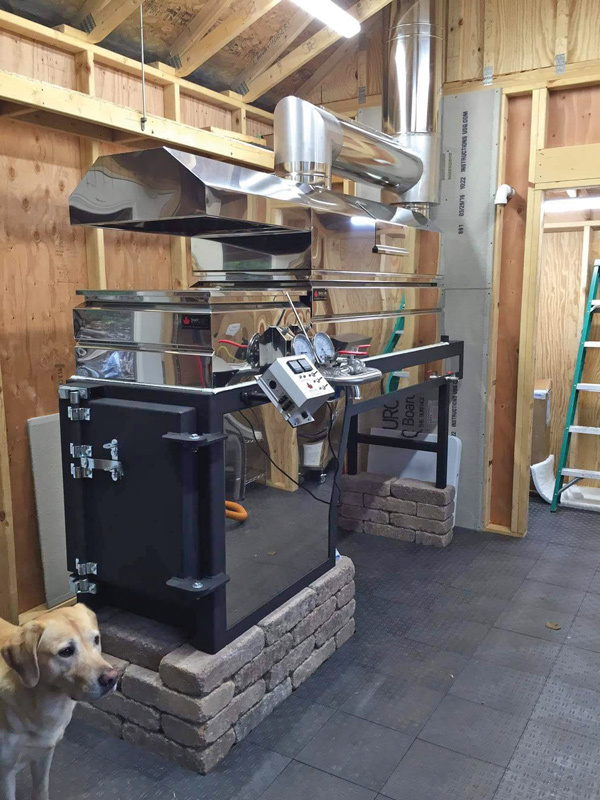 The most common way maple producers reuse their evaporator’s heat is via a sap preheater. 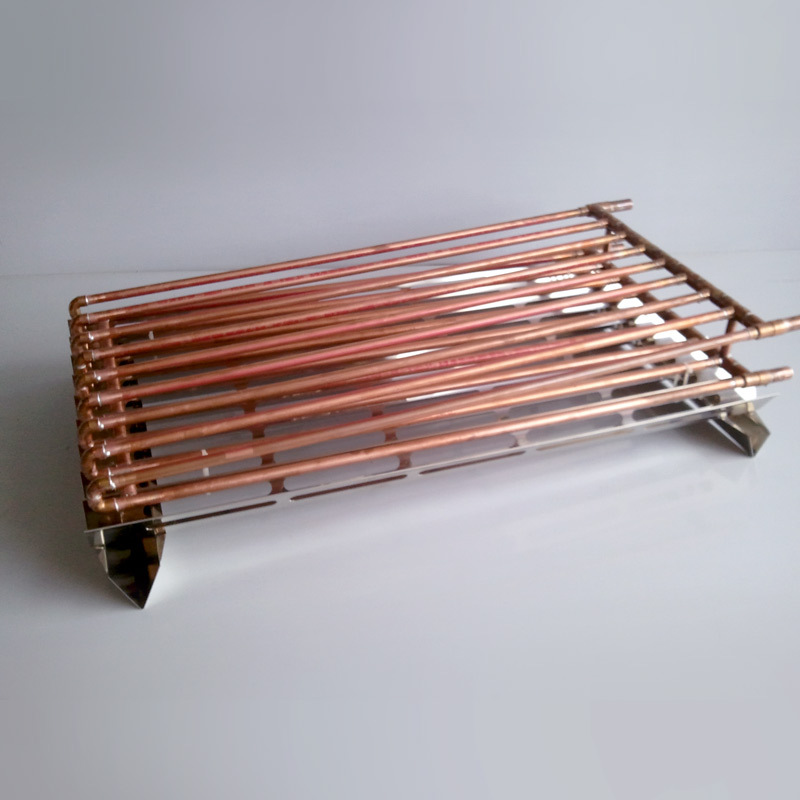 As its name suggests, a preheater warms your raw sap so that it is closer to boiling temperature when it enters your evaporator pan. Hot sap allows you to sustain a healthy boil. In contrast, cold sap will hinder a boil. Tests completed with a Smoky Lake Preheater have shown an increase in the gallons evaporated per hour by up to 15%. That means you could be saving 9 minutes out of every hour, as well as saving that same ratio in fuel. After you draw syrup off the evaporator, you will need the syrup to stay hot for filtering and bottling. This is the perfect job for a Water-Jacketed Draw-Off Tank. This tank uses hot water from your hood drain to heat its outer “jacket”. In doing so, the syrup inside the tank is kept at a hot, even temperature until you are ready to either bottle it or put it through a filter press. The beauty of this method is that it employs a FREE resource that would otherwise be sent down the drain. No need for electricity or gas. We are simply converting a byproduct (condensed water) into a heating agent. Another bonus is that the water-jacket ensures that there are no hot spots within the holding tank. Hot spots would promote sugar sand and are common when a pan of syrup is in direct contact with a burner/flame. Just like the last example, this idea utilizes the condensed steam coming from your hood drain. This concept takes our initial Water Jacketed Draw-Off Tank design one step further by adding a wash basin. Now you can access the hot water that would otherwise be sealed inside of the jacket so you can use it for cleaning your instruments. All the condensation draining into the Water Jacketed Draw-Off Tank is clean, hot, circulating water. It is constantly being renewed as fresh water from the hoods enters the jacket and pre-existing water is pushed out via the overflow drain. Super convenient! Especially if your sugar house does not have plumbing. Last year, Smoky Lake introduced the Concentric Exhaust System. The “concentric” portion of this system is configured so that the smoke exhaust pipe travels up through the center of the steam pipe, resulting in both pipes exiting through just one roof penetration. Among the many benefits of this system is the fact that the central hot smoke exhaust pipe boosts the draw within your evaporator’s steam hoods, improving steam evacuation. Now large evaporators which used to require more than one steam pipe can often get away with just one. Another benefit of the Concentric Exhaust System is that since there is only one roof penetration, there is decreased potential for snow jams and roof leaks. There are so many ways to harness the power of heat. We have only scratched the surface. I am itching to share Smoky Lake’s current development projects, but I’ve been sworn to secrecy until next Fall. I will be sure to tell you all about it when the time comes! How are you utilizing the heat from your evaporator? Do you have ideas for reusing your existing resources and maximizing their potential? We would love to hear from you. Angela K M Schumacher, angela@smokylakemaple.com, or join the conversation in the comments below! Let us know if you liked the post. That’s the only way we can improve. Since I bought my 16 gal WJ canner bottling has been so much easier. If I’m bottling from my finisher, I just mix DE in a draw tank and send it thru the filter press to the canner, just like with my old propane fired canner. When canning from cold, I do it in 2 steps, I heat the barrel just enough for my air diaphragm pump to move the syrup fast enough and pump i8t to the canner. There I set the t-stat to 186-188 if I’m bottling later that day and I go do something else (I could not leave the propane canner to heat unattended). Then when the syrup is up to temp. I start bottling, I never need to keep adjusting the heat. If canning the next day, I set the t-stat to just over 100 F and the next day I turn the t-stat up to 186-188 and when it gets there, I start bottling. So much easier and safer than using my old propane fired canner. We are so happy to hear this. Cheers! Smoky Lake Maple Products, LLC © 2019. All Rights Reserved.